Technology firms are having an unprecedented influence over our lives and their reach has extended across the globe like never before. As a result, the level of regulatory scrutiny of these tech giants has increased dramatically as well. 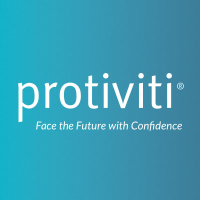 In the podcast below, Protiviti leaders discuss the changing regulatory landscape technology firms are facing today and the need to balance regulatory concerns, social responsibility, risk management and compliance with tech innovation and creativity. This is the first in a series of podcasts addressing the responsible technology firm of the future. You can also download our published series of papers on the topic from our website.